Go to Edit > Preferences and click on Install (File > Settings in Windows). Then, next to the search box, click on the Packages and search for the "script". Once you search script, script package should appear in the search list. From there you can install the script package. Currently there is no package that open python shell directly atom text editor, But we can use the Terminal-plus package, which open Linux/Unix Terminal(CMD in Windows) in the Atom editor. From the Terminal we can go to the python shell. Windows user needs to install git on windows before installing terminal-plus package. To install terminal-plus package, go to Atom package installer and search "terminal-plus" and click install. To open the terminal go to Packages > Terminal-Plus and click New Terminal. 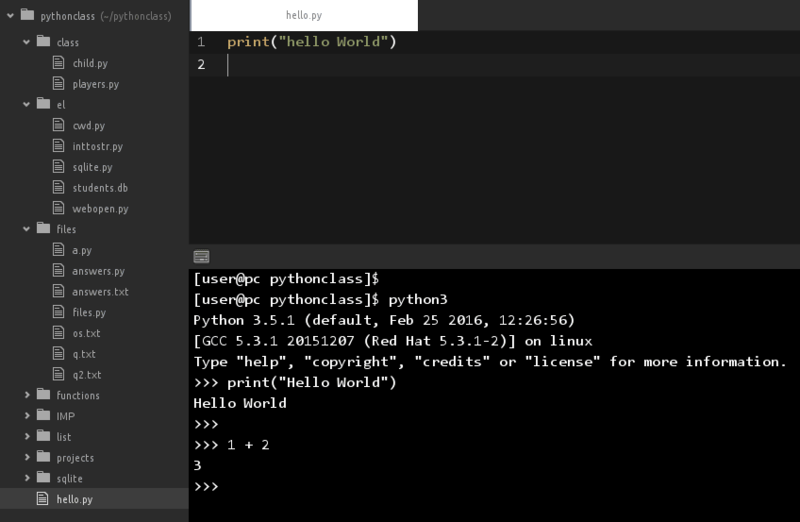 From the terminal you can login to the python shell using python command. Both Terminal-plus and script packages going to be very useful for you when you use Atom text editor to Code python scripts.